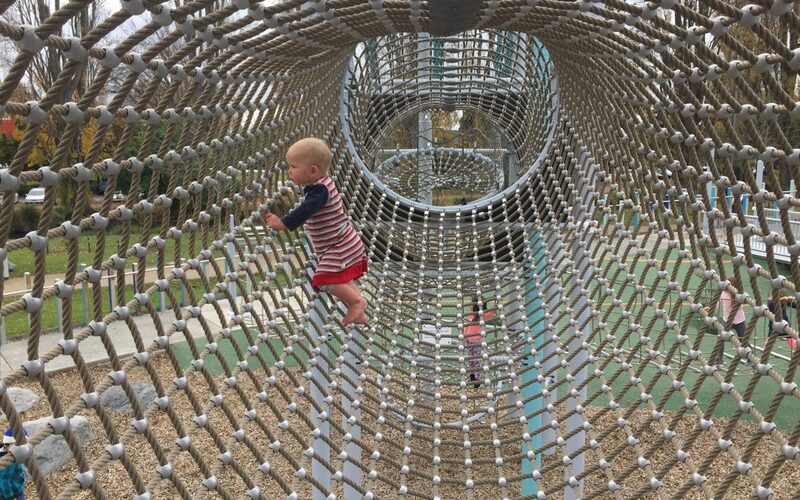 I was visiting the Margaret Mahey Playground here in Christchurch the other day, as my son absolutely adores going there. Two different school groups came and went while we were there and the differences in how they were managed was incredible to watch! Here is how it played out. Not long after we arrived the first group of about 30 school kids turned up and they raced off in every direction possible. The teachers were cruising around taking photos, joining in, putting shoes and socks in a pile and laughing at the crazy kids spinning in the giant tea cup (well, that’s what I call it) and diving down the slide. They stayed for about 20 mins and then went to look at the street art around the city. They even had a photo competition for the kids on who could take the most creative photo over the day – how neat is that!!! I digress. Not long after they left another school group turned up. But as the children excitedly headed off to play they were called back to listen to what I would call a safety brief. After the safety brief, they ran off to play and one of the teachers yelled out ‘slow down’. Over the next 15-20 minutes I heard comments like ‘you need to keep you shoes on so you don’t hurt yourself’, ‘Don’t climb to high’, ‘only slide down on your bottom’ and ‘be careful, that’s not very safe’. In all fairness, the children didn’t listen – which from my perspective is great, probably not great from the teacher’s perspective though. The playground itself is designed for adventure play so all in all it’s relatively safe all things considered. So why didn’t the teachers from the second school trust their children to assess the risks for themselves? Was it to do with the risk culture at their school? Perhaps it was based on a bad personal experience? Was it fear of someone falling or getting injured? Or even the paperwork around that? Whatever it is, long term it is not a helpful attitude for children to be exposed to during their education. If you were a child, which school group would you rather be in? The first one where the teachers were having as much fun as the children, where they trusted their tamariki to know their limits and let them play freely. Or the second school group where the teachers were always trying to restrict and limit their children’s experiences, where their play was constantly interrupted by ‘fear based comments’ and they were not able to play as freely? The role of risk in play is very important and is well documented internationally. When children play, they are constantly trying new things or assessing risks and learning from those experiences. During play a part of the brain called the prefrontal cortex is engaged which has a major role in regulating emotions, problem solving and decision making. Play makes children smarter. If the assessment of risks is taken away from children or their play is dumbed down, they can’t push themselves in the same way. They can’t challenge themselves to a higher level and their brain doesn’t develop as well as it could. The other side of it is if they aren’t given enough opportunities to assess risks when they are young, then it could happen when they are older when the stakes are higher. Play has such a vital role in the development of a child’s brain so it’s essential that teacher’s attitudes towards risk support a child positively during risky play. I do want to acknowledge that the teachers in both schools were all doing the best they could with what they know. We all do. And we do it based on our education, our upbringing and past experiences. If we experienced a lot of risk adverse attitudes growing up then that will have an impact on how we perceive risk as an adult. If we had a particularly bad experience growing up, that will also impact on how we respond towards certain situations. On the other side if we have experienced positive attitudes towards risk including support and a growth mentality around learning how to assess risks, then we are going to be more open to encouraging a risk assessment mentality in our kids. We will be more open to encouraging our children to step outside their comfort zones and challenge themselves. When children are given the chance to manage their own risks they do it well. They are quick learners and they are capable. If you are reading this and thinking maybe there are some similarities with school two and your centre, it could be a great opportunity to have a look at your centres culture around risk management and how you could improve it as a team. Or perhaps you want to see if everyone is on the same page. 8 questions to self review your risk culture. Does my personal attitude towards risk help or hinder the children I care for? When thinking about my attitude towards risk, how am I coming across to our children? Do I role model a positive attitude towards risk? If not, what impact does my attitude have on our tamariki? How can my team and I take steps to shift our perspective about risk and make it positive for our children? What do we need to do as a team to align our attitudes towards risk assessment with our kids? How do we make this shift or perhaps how do we strengthen it if you are already there? Can we adjust our language to be more risk positive? How will our tamariki benefit from our new approach to risk management in our centre? Thanks for the wonderful article! My favorite quotes, ‘Play makes children smarter.’ and ‘They are quick learners and they are capable.’ I find too often in today’s culture we are swaying away from allowing our children to engage in free and risky play. I can only imagine the long term effects of this on our children as they grow to become adults. Risky play not only aids their development in these early years but helps sets them up for success in their adult life. Risky play encourages emotional regulation in addition to control of their developing physical skills. I say just let the children play! Let them take risks, get dirty, fall down and get back up as they learn how to manage themselves. Thanks Valerie for your comments. It’s great to hear from other passionate people 🙂 Between you and me I love the line ‘play makes children smarter’ too! Thanks very much Sue! Gosh I should have read this last week as we just went out to Methven for a couple of days skiing. I will make sure to get in touch next time we are out that way. 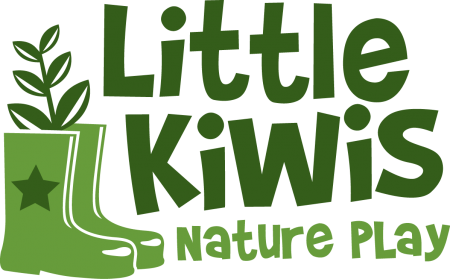 I love to hear what centres are doing around the country and how connected to the outdoors so many are. Just wonderful! I will be in touch.